In my eyes, Foles is the only viable starter that’s currently on the free agent market. Blake Bortles or Ryan Tannehill could eventually be released/traded, but for now, the choice is targeting Foles or waiting for the draft. Unlike other QB needy teams, the Jags could easily return to the playoffs with the right QB leading them. That being said, a veteran QB makes sense. The Giants, Redskins, and others will go for a combo of a rookie and a veteran mentor. For Washington, Alex Smith will not be able to serve as a veteran mentor considering his severe knee injury in 2018. Colt McCoy isn’t a viable starter in my eyes either. However, Teddy Bridgewater is a free agent who has experience starting, so he could serve as Washington’s bridge starter (no pun intended) until their young QB, whether it be Kyler Murray, Dwayne Haskins, or someone else, has time to develop. The Bucs and Dolphins will also be on the lookout for veteran backups. Look for them to resign their 2018 backup QBs, Ryan Fitzpatrick and Brock Osweiler. The Bills could also use some depth at QB behind Josh Allen, so bringing back their former QB, Tyrod Taylor, could be smart. That would leave Josh McCown as the best free agent QB left. I have him going to LA to backup Philip Rivers until they draft Rivers’ successor. Bell might be the best player on the open market in a long time. The Steelers refused to pay him what he wanted. But who will be up to pay him? He reportedly wants $25 million annually. I don’t think anyone will give him that, but I think he’d settle for $20 million/year if he ever wants to play again. If the Eagles free up enough cap between Foles’ departure and a release or two, they will be willing to pay for him for some answers at RB. Right now, they have a surplus of RBs, but no clear cut starter. I see Ajayi, Philly’s last starting RB, leading a refined RB committee in Tampa. Expect an aging Adrian Peterson to do the same in Indianapolis. On the contrary, Ingram and Coleman will leave RB committees to become full time starters on RB needy teams. Coleman will replace Kareem Hunt, while Ingram will replace Marshawn Lynch (I see him retiring). The Ravens’ backfield is getting pretty crowded after the emergence of Gus Edwards, but I think Alex Collins will wind up back in Baltimore. The 49ers may have Jerick McKinnon and Matt Breida at RB, but a veteran mentor like 3-time Super Bowl champion LeGarrette Blount could be helpful if they resort to an RB committee. Yeldon will serve a similar role in Green Bay, playing alongside young RBs Aaron Jones and Jamaal Williams. The Steelers could also use a veteran in their backfield behind new starter James Conner, and I think Martin could be a good fit. Despite leading the Rams in the playoffs, Anderson may have to settle for a backup/committee role as well. He could be a good replacement for Coleman in Atlanta. Murray was successful in Minnesota, and there’s room for him in the backfield, so I see him coming back. With Coleman headed to Kansas City, the Chiefs will move on from Spencer Ware as he heads to Dallas to backup Ezekiel Elliott. Sam Darnold showed flashes of talent in his rookie year. I think a better RB and a #1 receiver could make all the difference for him. They should chase after Tate aggressively if they cannot land Antonio Brown (I have him going to San Fran). Bryant barely played last year, but he still could serve as a WR1. The Bills could be a fit, but if they pass up on Bryant, they could also take D.K. Metcalf in Round 1 of the draft. Cobb looks to be leaving Green Bay, and the Steelers may seek depth options at receiver after Antonio Brown leaves. Cobb could be a fit to play across from JuJu Smith-Schuster. The Lions have no clear cut WR1 after Tate’s departure, but if they sign a lower tier option like John Brown, Matthew Stafford could look evenly split targets among Brown, Marvin Jones, and Kenny Golladay. Moncrief and Wallace aren’t viable #1 receivers at this point, but they could still be a big help for WR needy teams. Moncrief could be a good option for the Pats, rather than overspending for Golden Tate. I have Wallace returning to the Eagles to play alongside Alshon Jeffery and Nelson Agholor. This trio never played together despite being lined up as Philly’s top 3 receivers on the depth chart in 2018 training camp. The Bills need more than just Bryant or Metcalf – maybe they can pair up Bryant with Beasley, his former teammate. The Ravens could also use some more depth at WR. Funchess isn’t a top tier option, but if they cannot land or draft someone top tier, he will have to do. Maybe they can pair Funchess with a rookie WR1. The Chiefs may not bring in anyone new, but they could bring back Conley to play behind Tyreek Hill and Sammy Watkins. The Colts could use some more experienced options across from T.Y. Hilton – Matthews could be a good choice. They could always draft someone to split time as the #2 receiver with him. Williams upped his value this season, but I still cannot see many teams paying him WR1 money. The Jets could use another depth option behind Tate, especially if Robby Anderson leaves. The Patriots need all the quality WRs they can afford, so Dorsett could be a good option to bring back considering his developing chemistry with Tom Brady. Eifert has a concerning injury history, and I think it’s time for Cincinnati to move on. But Detroit could pair him with a drafted TE to ensure security at the position. Kroft will return to Cincy with Eifert on his way out. Kroft will return to Cincy with Eifert on his way out. The Saints could also use a veteran TE alongside the young Dan Arnold, and Cook might be the most consistent veteran on the market. It would be smart for the Texans to target Noah Fant or T.J. Hockenson in the draft, but signing a veteran in the meantime couldn’t hurt, and James could be a good mentor for their new TE. Lewis and Rodgers are not cut out to be a team’s #1 tight end at this point. But they can provide depth as a TE2, with Lewis backing up Vance McDonald and Rodgers backing up Chris Herndon IV. Darnold needs more consistent receivers, so I could see the Jets moving on from Robby Anderson. Anderson could be a good depth piece in Cleveland, serving as the WR2 over Antonio Callaway. Humphries is also going into free agency expecting WR2 money. But I think he will have to settle for a little less, and if his price drops, the Pats may be willing to pay for him for additional depth. He is a good fit in New England. Despite a disappointing 2018, I could still see Benjamin contributing behind Davante Adams in Green Bay. They’ll need to draft a younger receiver to play alongside them though. If the Lions sign anyone else at TE besides Eifert, I don’t think it will be their 2018 tight end Luke Willson. Josh Hill has a slightly better track record and could be a good bargain for the Lions. I see Willson returning to Seattle to compete for playing time with Will Dissly, Ed Dickson, and others. Kendricks was the most consistent of Green Bay’s tight ends this year, so look for them to retain him alongside Jimmy Graham. Wow, that’s a lot of quality free agents. The madness will begin in a little over a week. Stay tuned for more predictions later in the week. Welcome to my 7th and final post in my series of Super Bowl LIII Preview articles. With just hours till game time, I will be giving you guys a final update on injuries among other things before the game begins. In addition, I have included an iMovie trailer to get everyone excited. You can also check out my entire Super Bowl LIII preview schedule below. February 3: Enjoy the game and stay tuned for my recap after the game! Both teams are pretty much at full health, which will make for an exciting game. RB Todd Gurley may not be 100% after an injury suffered late into the regular season, and DE Deatrich Wise Jr. of the Patriots was hurt in the weeks leading up to the game, but unless Wise is a healthy scratch, both Gurley and Wise are expected to play. I’m hoping DE Adrian Clayborn isn’t an inactive instead of wise. We need some good pass rushers in this game. I’m pretty confident that the Patriots can win this. But in addition to winning the turnover battle, scoring early, and stopping the run, they’ll need the special teams to step it up. If the Patriots want to win, they need to play complimentary football: good offense, good defense, and good special teams. Though a big game from Edelman or Gronk would be nice, I see WR Phillip Dorsett as an X-factor for us. Some games, he has made next to no impact. In other games, he has been an unsung hero. I saw Dorsett at training camp, and he looked like one of the best receivers there. Apparently, Bill Belichick had wanted to draft this guy in 2015 (he traded for him later on). There’s got to be a reason for that. I have confidence that Dorsett has the potential to make a big impact. Plus, if he does well, he may be rewarded with a return to the Patriots (he is an upcoming free agent). If the Rams can outrun the Pats, they’ll be in good shape. But they’ll also have to outplay QB Tom Brady, which will require not only Gurley and Anderson but also QB Jared Goff to be at his best. If Goff has a big game, and the Rams defensive line (who I see as their X-factor) is at their best, pressuring Brady and stopping the run, the Rams have a chance. But I still have more confidence in my home team. This will definitely be close, and it could be another classic, as most Patriots Super Bowls are. But I think this is the year that the Pats finally get their sixth ring and tie the Steelers for the most Super Bowl wins ever. That’s about all I can say that I haven’t already said. With just about six hours left, food has been purchased. Parties have been planned. Commercials have been made. Now, it’s just time to sit back, relax, and enjoy the game with friends and family, commercials, halftime, and all. Unlike other football games, anyone can enjoy the Super Bowl thanks to the funny ads and the halftime show added in to appeal to all audiences. I hope everyone enjoys the game, and stay tuned for my recap when it all ends. Go Pats! Welcome to my 6th post in my series of Super Bowl LIII Preview articles. My video preview of the game with a transcript is below. How do these two teams match up? Watch the video to find out what I think. You can also check out my entire Super Bowl LIII preview schedule below. I will be posting preview articles throughout the week as festivities in Atlanta take place. After taking the Rams down in the first Super Bowl of the Brady-Belichick era, the Patriots take them on again in Super Bowl LIII. Coming off an OT thriller over the Chiefs, the Pats should have plenty of motivation for this game after losing the Super Bowl last year. In addition, a win will give the Pats 6 Lombardi trophies and tie the Steelers for the most Super Bowl wins all time by an NFL team. The Rams made it here after an overtime victory of their own that was made possible because of a Rams pass interference no-call, but they’ll look to get revenge on the Pats for derailing the “Greatest Show on Turf” back in 2001. 17 years later, the Pats are the experienced dynasty, and the Rams are once again on the rise. But the Pats took down a high scoring Rams offense back in 2001 and with 2 weeks to prepare, Belichick should have a game plan to shut down the Rams again. Though the Patriots dynasty is headed “Back to their Roots”, there are several factors that make this game different. The Patriots defense isn’t quite as good as it was back in 2001. So for the Pats to beat the Rams again, they’ll need to play like they did in the first half in KC and stop the Rams running game led by Todd Gurley and C.J. Anderson. The Patriots defense has struggled to contain big name running backs in recent years, and if they fail to contain Gurley and Anderson, it may prevent them from winning. Winning the turnover battle will also help their case. Both QBs have had interception troubles this year, and both teams are Top 5 in interceptions. The question is, who will throw more? About 80% of the time, teams who win the turnover battle win the game. The Pats will also need to score early as they did against the Chiefs and Chargers. Though they did score their only Super Bowl first quarter points in the Brady-Belichick Era last year, they were outscored in the first quarter. Starting out strong with a TD will prevent that from happening again. If the Rams want revenge, they will need to put pressure on QB Tom Brady. If they can apply the pressure up the middle, Brady could be limited and interception-prone. The battle in the trenches will be key as New England’s offensive line has been playing well but the Rams defensive line is probably the toughest they’ve faced all year. QB Jared Goff will need to show that his lack of experience doesn’t matter and avoid interceptions. Gurley and Anderson cannot lead the offense alone, and Goff has not been throwing it as much since WR Cooper Kupp got hurt. Interceptions could significantly impact the game so it will be interesting to see if he forces some throws. I expect Julian Edelman to have another stellar playoff performance with about 100 receiving yards and a TD. I also won’t be surprised to see Gronk play a big role in what could be his last game. This will definitely be a close one like all of the Pats Super Bowls but in the end, I believe the Pats win 26-24 making it 3 Super Bowl wins in 5 years. Stay tuned for a final update before the game including my iMovie Trailer. Welcome to my 5th post in my series Super Bowl LIII Preview articles. Now that I’ve looked back at previous stat nuggets that could be significant to the game and established the keys to victory for each team, it’s time to unveil my official Super Bowl LIII prediction. Who will win Super Bowl LIII? Will it be a nail-biter? A blowout? Something in between? What players will have the biggest impact on the game? Keep reading to find out what I think. You can also check out my entire Super Bowl LIII preview schedule below. I will be posting preview articles throughout the week as festivities in Atlanta take place. Typically, I just predict the score. But it’s the Super Bowl, so I went a little deeper. I simulated the entire game based on my basic score prediction. Below are the final score, scoring summary and stat predictions I came up with. 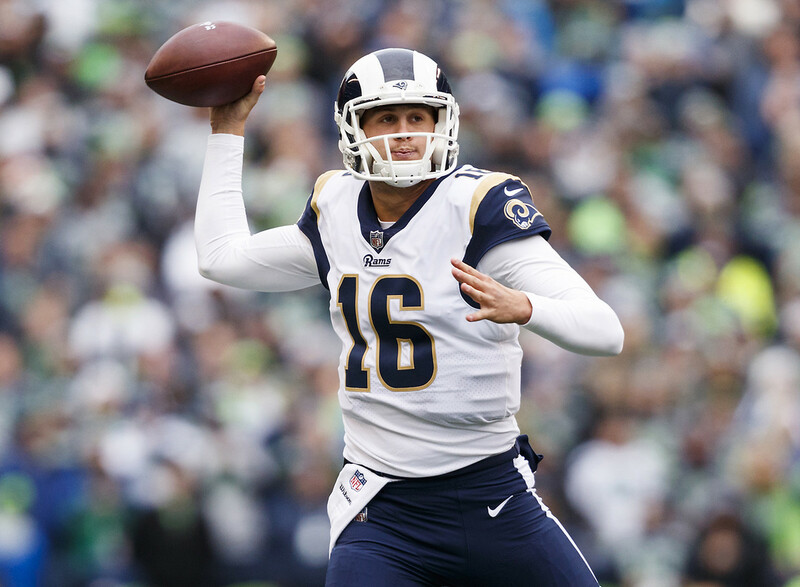 Though I don’t see QB Tom Brady matching his Super Bowl LII stats, he will outplay QB Jared Goff, tossing 2 TD and no interceptions while Goff throws more picks than TDs. But it’s not the stats that matter for the Pats – it’s winning the game. Expect a close, back and forth match-up, as RB Todd Gurley and C.J. Anderson dominate against a weak Pats run defense. But QB Tom Brady will find open men and put up a quality victory in his 9th (yes, that’s a record) Super Bowl. Note: I showed a projected scoring summary for the purpose of highlighting who makes an impact, not to predict the order of events in the game. That’s all for my Super Bowl LIII prediction. Stay tuned for a video preview to sum up my takes on the game tomorrow. Welcome to my 4th of several Super Bowl LIII Preview posts. Over the last two days, I went over keys to the game for each team. Today, I will be looking back at previous stat nuggets that could be significant to the game. What stats could be telling about the results of the game? What previous happenings will motivate or burden each team? Keep reading to find out what I think. You can also check out my entire Super Bowl LIII preview schedule below. I will be posting preview articles throughout the week as festivities in Atlanta take place. You have to give some credit to the Patriots offensive line. Four of the five New England offensive lineman are above their positional average in pass block win rate, and the Pats lead the league in this stat. But you also have to give some credit to Brady himself for playing smart football. He judges the defense well and gets the ball out quickly if he needs to. This should help them maintain a rhythm throughout the game, something a sack could significantly interrupt. But it will also help them win the turnover battle, a key piece to victory. Teams who win the turnover battle tend to win about 4 of every 5 games. 2. The Rams offense is averaging 1.5 more points and 3 more yards per game than the 2001 “Greatest Show on Turf” offense. From a Pats fan’s perspective, it’s scary to see that the Rams offense is not only matching but outdoing their “Greatest Show on Turf” era offensive numbers. Back then, the Rams were the experienced dynasty and the Pats were a team on the rise. Though the opposite is true now, if Brady outplayed an offense like this in 2001, I have confidence he can do it again 17 years later. You do have to consider that the Pats allowed just 334.5 YPG in 2001 compared to 353.9 YPG in 2018. But that’s not a huge difference. Everyone says that the 2001 Patriots had a pretty good defense, while this year’s defense is not great. But in reality, this year’s defense is around average, and they weren’t that much better in 2001 defensively. 3. QBs Tom Brady and Jared Goff are both Top 10 in interceptions thrown this season. Something tells me this game will have a good number of turnovers. In addition to the above stat, both these teams have elite secondaries that are 3rd (Rams) and 4th (Patriots) respectively in interceptions. The question is, who will win the turnover battle? As I said, most NFL teams who win the turnover battle go on to win the game. In terms of who wins it, I think it all comes down to the WR-DB match-ups. Compared to New England, the Rams are fairly weak at tight end, and I could see the Pats secondary dominating those match-ups. The Rams have been terrible against tight ends this year, though TE Rob Gronkowski is his own animal. That itself will give the Pats an advantage. Plus, it’s unlikely the Rams are able to contain both Gronk and WR Julian Edelman. If they double up on Gronk, that will allow Edelman to shine. 4. Right now, RB Sony Michel is behind just Terrell Davis and Arian Foster in rush yards/playoff game. Though 2 games is a small sample, what does this say about Michel? Though Davis is a three time All-Pro first team member, Foster never really established himself as a hall of fame caliber running back and ended up retiring after 8 seasons thanks to an injury-riddled career. But he did have a nice run as an elite RB from 2010-2014. Due to the small sample size, it’s hard to tell how much this means for Sony Michel right now in this game. It’s hard to guarantee a big game for him against a star-studded Rams d-line. But I do believe he has a future as an elite running back and a leader on the Pats, even if injuries or something else limits his career. He did put up an impressive rookie season in the games he played. 5. In 2 regular season games with the Rams, C.J. Anderson rushed for 299 yards. It took Todd Gurley until Week 4 to reach 300 yards on the season. Anderson was in the right place at the right time. Anderson played the 49ers and Cardinals in the final two regular season games. Sure, Gurley played the Raiders and Cardinals in his first two games, but you also have to consider that Anderson came in late in the season. All the Rams had to do to be in good position for the playoffs was beat their weaker division rivals, but these games mattered more to the Rams than the first two. Gurley did do well against the Raiders, and despite just 42 rushing yards against Arizona, he scored 3 TD. Though it took him longer to approach 300 rushing yards, you could argue that Gurley was as good a running back in LA’s first two games, both easy wins, as Anderson was in the last two, also easy wins. The reason Anderson did so well was because he took advantage of a big opportunity. With Gurley at full health, expect Gurley to lead the backfield, with Anderson playing a significant supporting role. This will make things difficult for the Pats. At least couple of these stats are a good sign for each team. But in the end, what matters is how these two teams match-up. Who will win Super Bowl LIII? Will it be a nail-biter? A blowout? Something in between? What players will have the biggest impact on the game? Find out what I think in my next article, when I share my score prediction and projected stats for the game. Welcome to my 3rd of several Super Bowl LIII Preview posts. Yesterday, I went over what the Patriots need to do in order to win the game. Today, I will do the same for the Rams. What does LA need to do to win their first Super Bowl in almost 20 years? What could derail them along the way? Keep reading to find out what I think. You can also check out my entire Super Bowl LIII preview schedule below. I will be posting preview articles throughout the week as festivities in Atlanta take place. Most of the 2000s and 2010s were pretty dull for the Rams. But in 2018, they arguably put up their best season since the ‘Greatest Show on Turf’ Era after hiring Sean McVay, drafting Todd Gurley and Jared Goff, and making some bold moves in the off-season that made it clear the Rams wanted to win now. But in order to win the Super Bowl, they’ll have to beat the Patriots, who they lost to back in 2001. The only difference is: now the Rams are the team on the rise, and the Pats have the experienced dynasty. The question is: how can the Rams do to the Pats what the Pats did to the Rams back in 2001 by pulling a shocking upset? First of all, QB Jared Goff will need to find open receivers. Gurley and RB C.J. Anderson have combined to make this run game dominant, and they should have no problems running the ball against a New England defense that struggles against big name running backs. But without WR Cooper Kupp, Goff has been throwing less often, partially due to the fact that he has less reliable receivers. His most reliable receivers, WR Brandin Cooks and Robert Woods, will likely be limited by a solid Patriots secondary. All of Goff’s receivers will need to step up their game and do their job in order for the Rams to win. In addition, the front seven will need to put pressure on QB Tom Brady. Led by DT Aaron Donald, the front seven has done alright this season, with 41 sacks during the regular season. But Brady has been sacked just 21 times this season. The Rams defensive front will have to step up its game, get past a strong New England o-line, and pressure him. Who knows, if they’re putting enough pressure on him, maybe Donald or another Rams pass rusher will sack Brady for just the 22nd time this year. Lastly, Goff will need to avoid interceptions. If Goff isn’t careful, an interception could blow the Rams the game, similar to how QB Drew Brees blew the NFC Championship by throwing an interception after winning the toss in overtime. If Goff can find open men and throw more touchdowns than interceptions and the defense can effectively pressure and possibly even sack Brady, the Rams will be in good shape. But this game should come down to the wire, and for both teams, this will not be easy by any means. Tomorrow, I will be looking at what previous Super Bowl and 2018 stats could be telling about the result of the game, and stay tuned for Friday when I post my official Super Bowl prediction with projected stats. Welcome to my 2nd Super Bowl LIII Preview post. Now that I’ve set the stage and taken a first look at the match-up, I will be looking at keys to victory for each team, starting today with the Patriots and continuing tomorrow with the Rams. What does New England need to do to win their third Super Bowl in 5 years? What could derail them along the way? Keep reading to find out what I think. You can also check out my entire Super Bowl LIII preview schedule below. I will be posting preview articles throughout the week as festivities in Atlanta take place. The Patriots fell just short in a Super Bowl rematch against the Eagles last year. This year, they face the Rams in a rematch of the first Brady-Belichick Super Bowl. 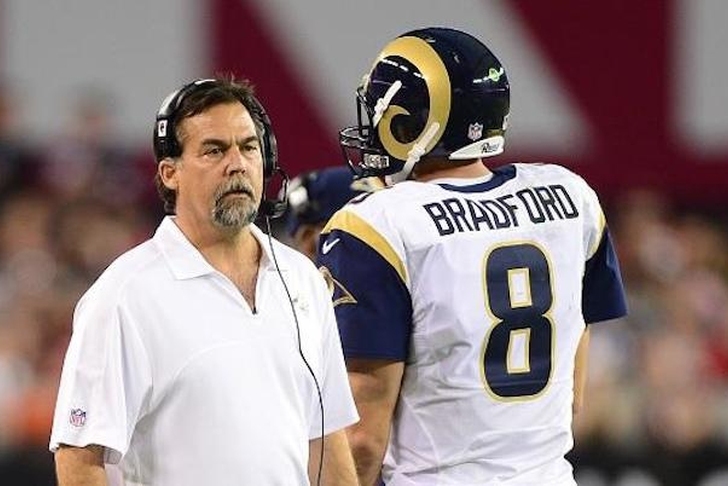 What can they do to prevent the Rams from cracking their code and derailing their hopes for a sixth ring? Winning the turnover battle will definitely help their case. QBs Tom Brady and Jared Goff have both had issues with interceptions this season, and both teams have some of the best secondaries in the league. The Pats will also have to stop the run. Todd Gurley is among the league’s best, and the Rams also signed C.J. Anderson to fill in while Gurley was hurt and support Gurley during LA’s playoff run. The Patriots defense has struggled to contain big name running backs in recent years, and if they fail to contain Gurley and Anderson, it may prevent them from winning. Lastly, the Patriots will need to get out to a lead early on. The Pats don’t typically score much in the first quarters of their Super Bowls, with just 3 points throughout the 1st quarters of 9 Super Bowls during the Brady-Belichick Era. It didn’t hurt them much in their first four Super Bowl wins. But if it weren’t for their miraculous comeback from a 28-3 deficit in Super Bowl LI, they would’ve easily lost after failing to score in the 1st quarter. Last year, they had fallen behind by the end of the 1st quarter despite 3 points, and it came back to bite them, as they ended up losing to the Eagles 41-33. If the Pats can get out to a lead with a first quarter TD, something Brady has never done in a Super Bowl, they will be in much better shape. If the Patriots take control of the turnover battle, stop Gurley and Anderson, and score a TD early, they should be in good shape to win the game. But what can the Rams do to prevent this from happening? Check back tomorrow for an article about LA’s keys to a victory.